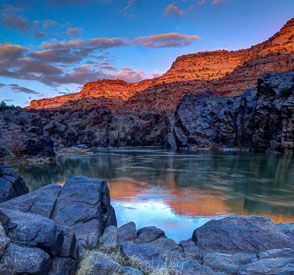 Surrounded by beauty and filled with adventure the canyons of the Colorado River are legendary. 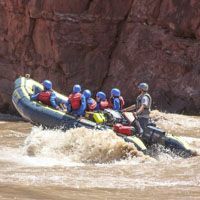 River runners return year after year to explore the spectacular scenery and fantastic whitewater. 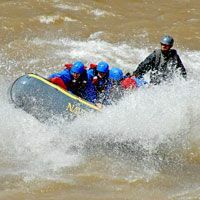 The rafting season begins mid March and finishes early November. Trips range in difficulty from calm water cruises to class V big water, and from half-day tours to multi-day expeditions. 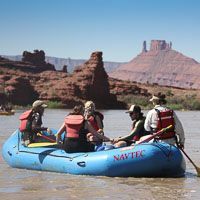 Let NAVTEC show you what Utah rafting is all about! Journey along the Green River by Oar Raft. Travel 170 miles down the canyons of Labyrinth, Stillwater, and Cataract. Departs during peak run off months only. 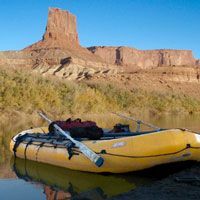 Immerse yourself in wilderness floating leisurely in Canyonlands National Park. Travel in oar-powered silence through towering canyons. Explore ancient ruins, walk through stream-filled canyons. 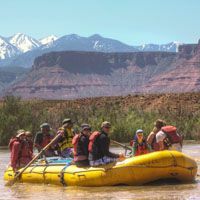 This fun-filled half-day Colorado River raft trip is for the whole family. Daily departures at 9am, Noon, and 2pm from Moab, Utah. 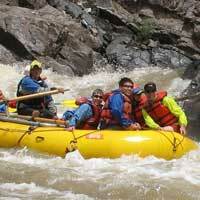 Each raft trip covers about seven river miles with fantastic scenery, informative guides and moderate rapids. The perfect two day adventure for family get togethers, youth groups, or first time river runners. 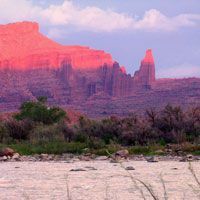 Moderate rapids and a camp out with one of the most scenic backdrops in Utah, the Fisher Towers. 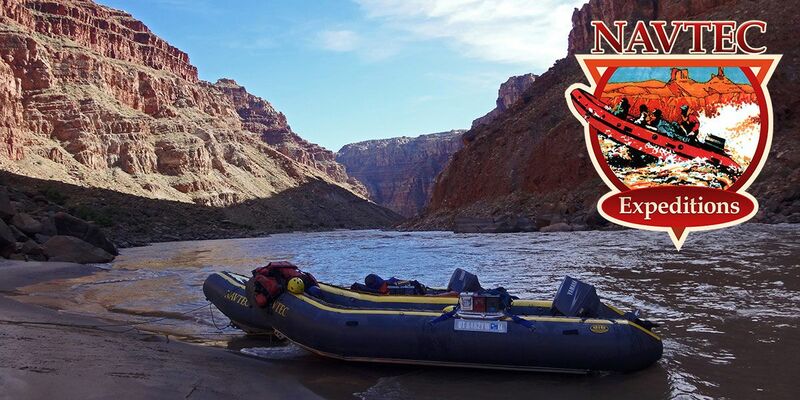 NAVTEC Expeditions is the only outfitter that runs the rapids of the Colorado River both upstream and downstream. 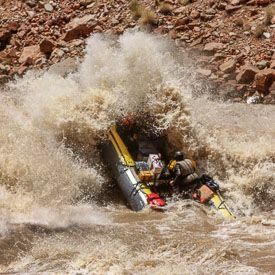 The whitewater RHIB navigates the river with precision and style on this half-day tour running each rapid at least twice. The Colorado River enters a vast sandstone wilderness as it flows south out of the Moab valley. This beautiful and peaceful section of Canyonlands is named Meander Canyon. 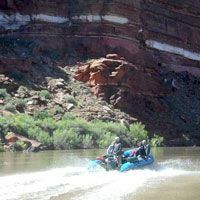 Traveling by rigid hull inflatable boat (RHIB) makes this personal tour on the Colorado River a favorite by many of our guests. 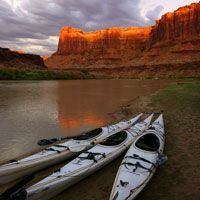 This sixty-mile stretch of river has no rapids so we float peacefully through a marvelous and seldom-traveled canyon.Relax on the raft and let your boatman do the rowing or paddle a kayak down the Green River.